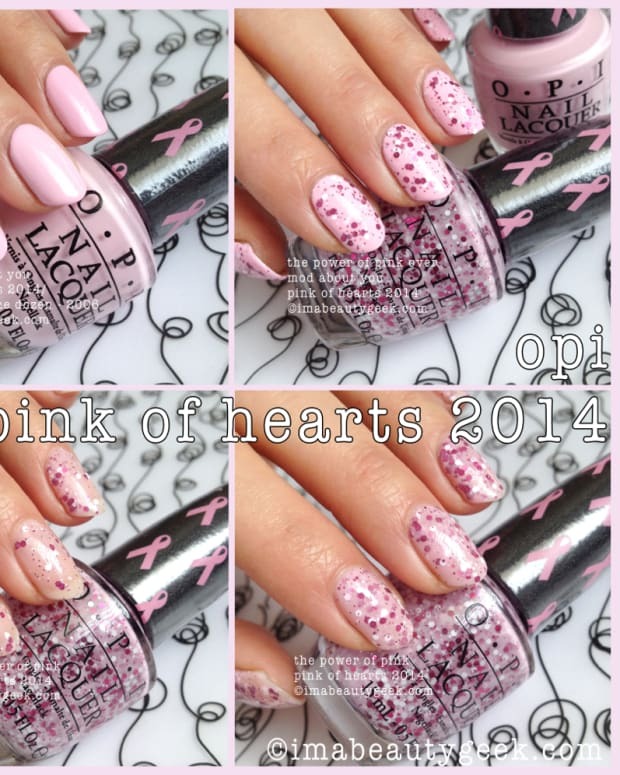 OPI is releasing two new Designer Series shades for fall 2014. 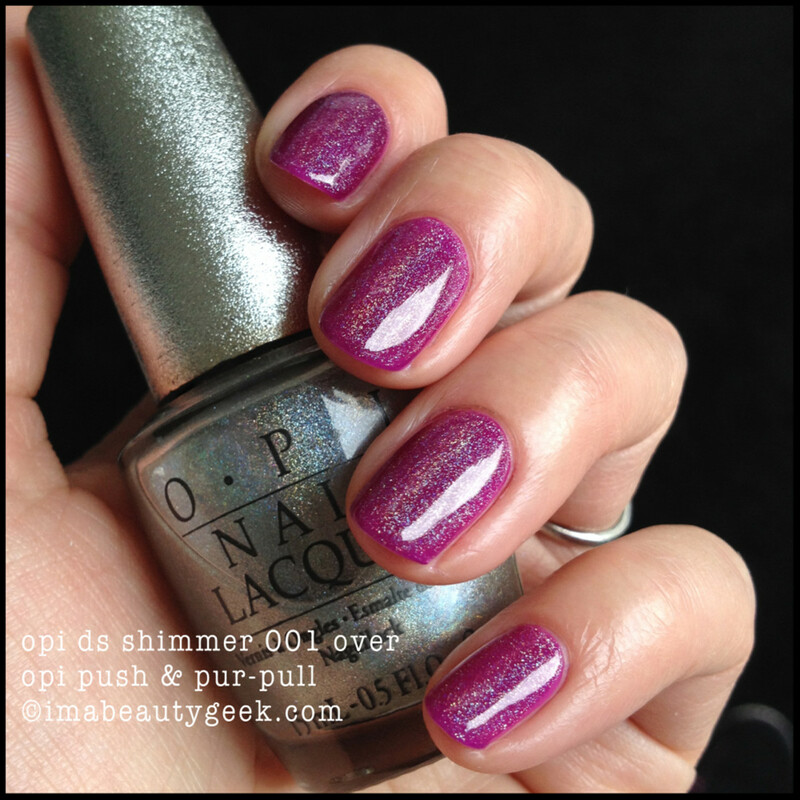 We’re gonna look at OPI DS Tourmaline 046 and OPI DS Titanium 047. Then I’ma show you a whole bunch of other DS shades I’ve been collecting for a buncha years. 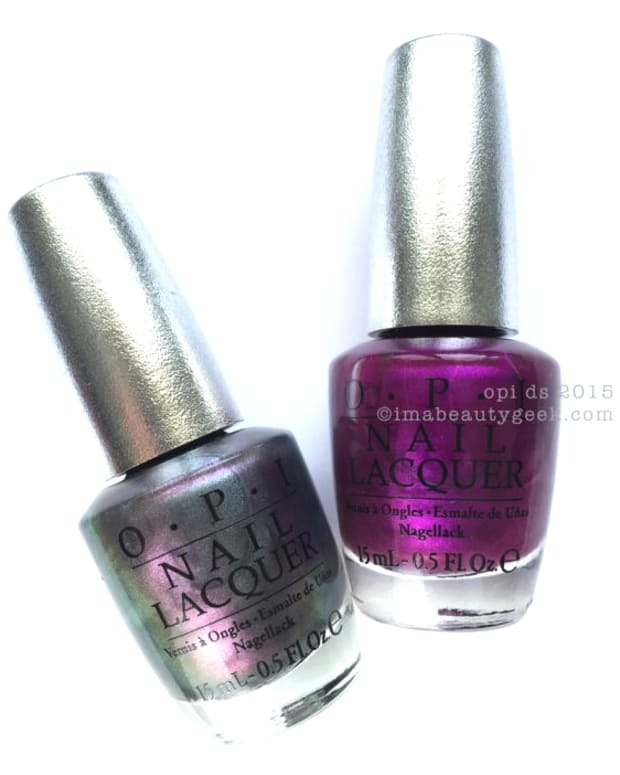 Polished Quartz – that’s what OPI is calling this new Designer Series formula and these two fall 2014 shades are apparently inspired by semi-precious stones. They’re stuffed full of glittery bits but unlike the first Designer Series offerings of many moons ago, there ain’t no holo. Nope. But there is sparkle. Lots and lots of it. 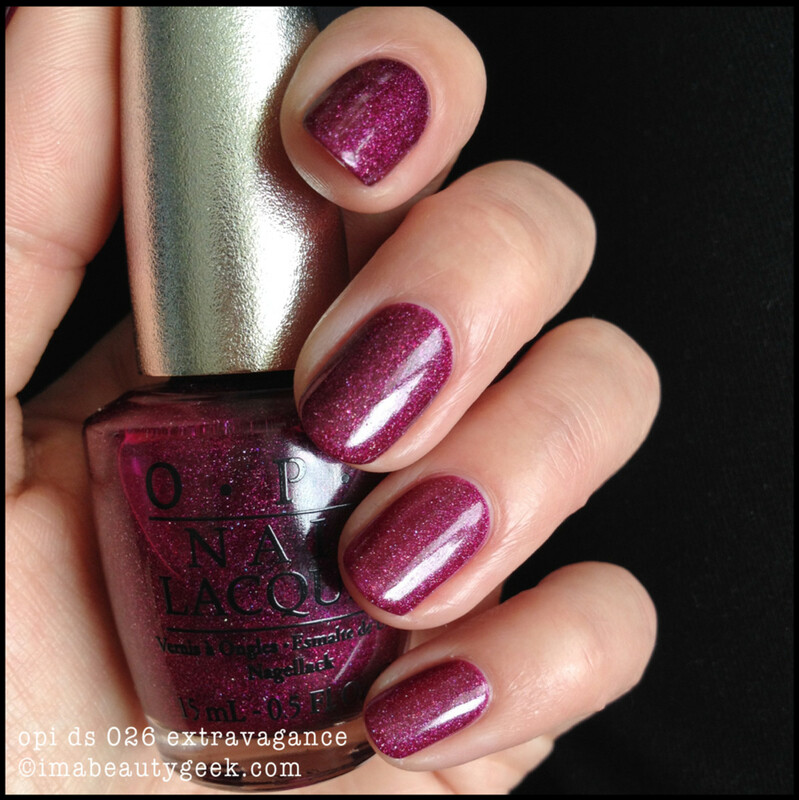 Above: OPI DS Tourmaline 046 You’re looking at three solid coats of DS Tourmaline there. It’s quite sheer in one coat, almost opaque in two coats, and total coverage in three coats. I should mention too that it&apos;s not crazy shiny. It&apos;s almost maybe satin-matte. But not that matte. But not that shiny. But sparkly. Confusing, right? 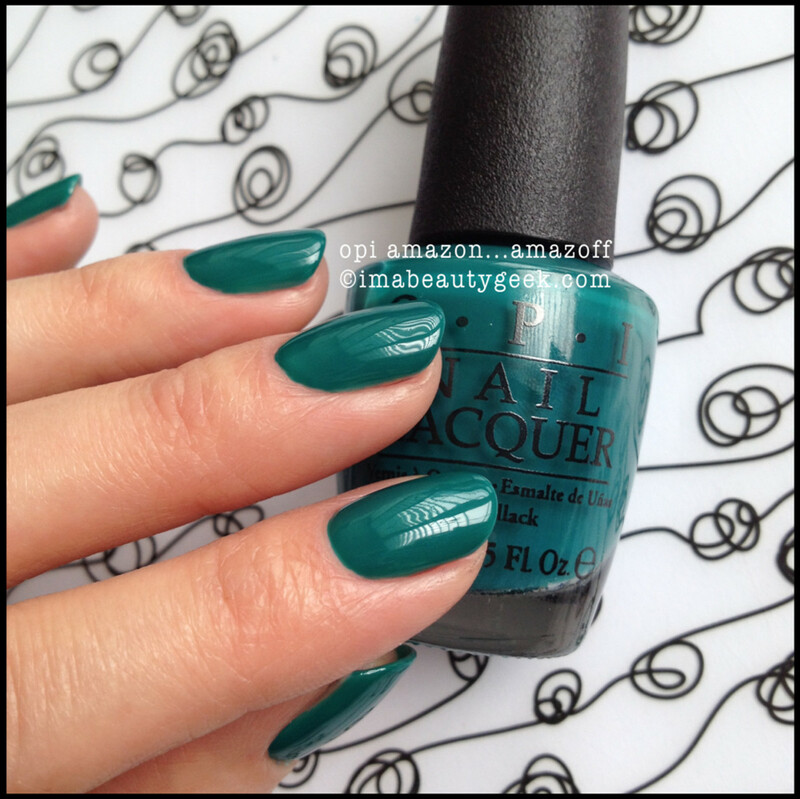 Above: OPI DS Tourmaline 046 And here it is again just shot at a different angle. 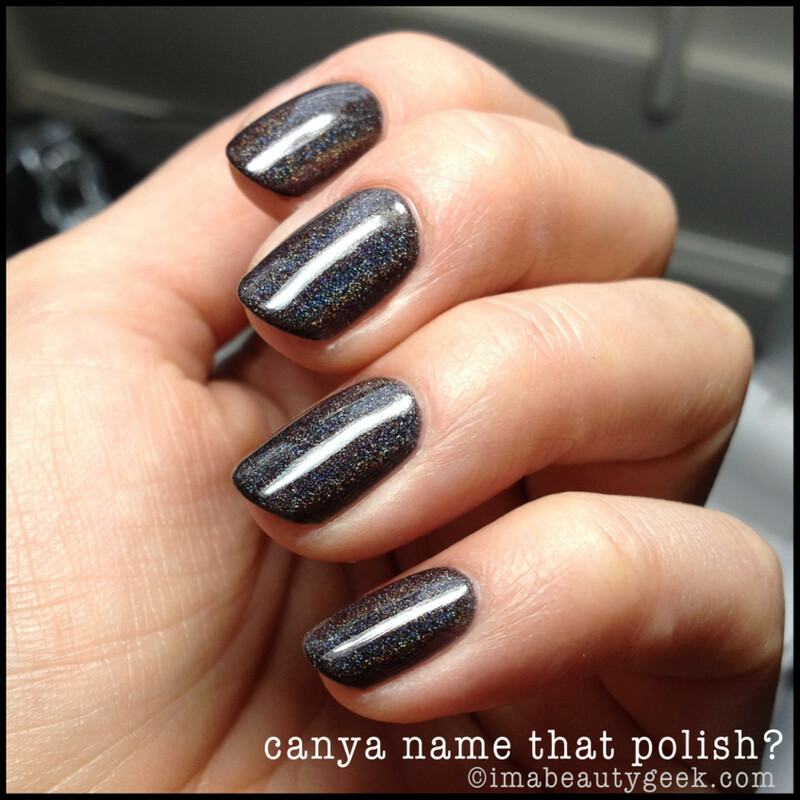 Sometimes it looks highly pigmented and sometimes it doesn’t – just depends on the light. Above: OPI Pompeii Purple So I got to thinking, if it’s so sheer it needs three coats, what if I put on a pair of undies to cut down on coats? 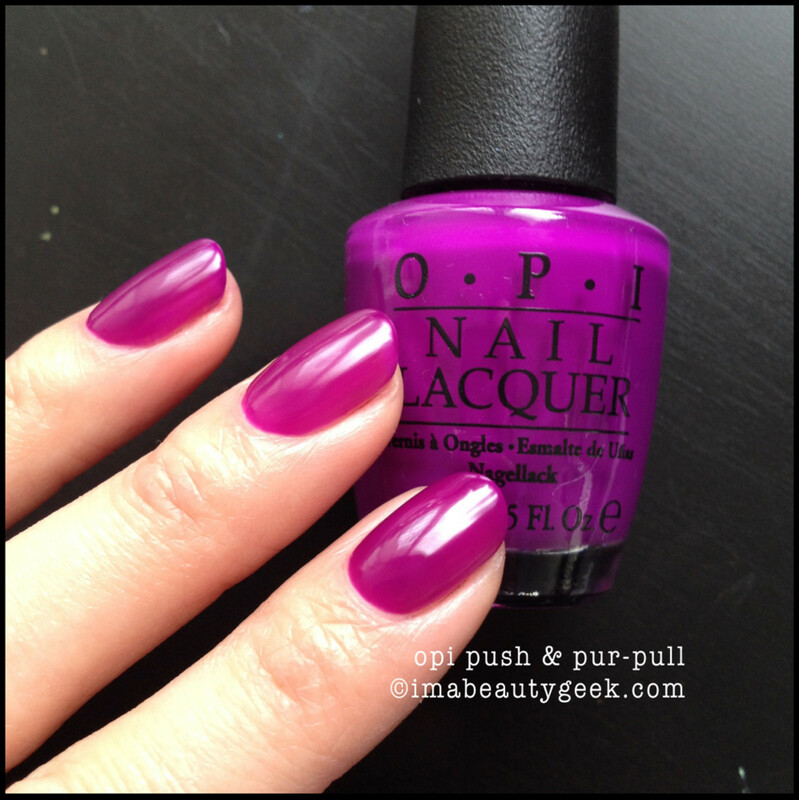 Above: OPI DS Tourmaline 046 over OPI Pompeii Purple Yes, I think this is 100% the way to go. I much prefer Tourmaline with a pair of hot pink undies. You? 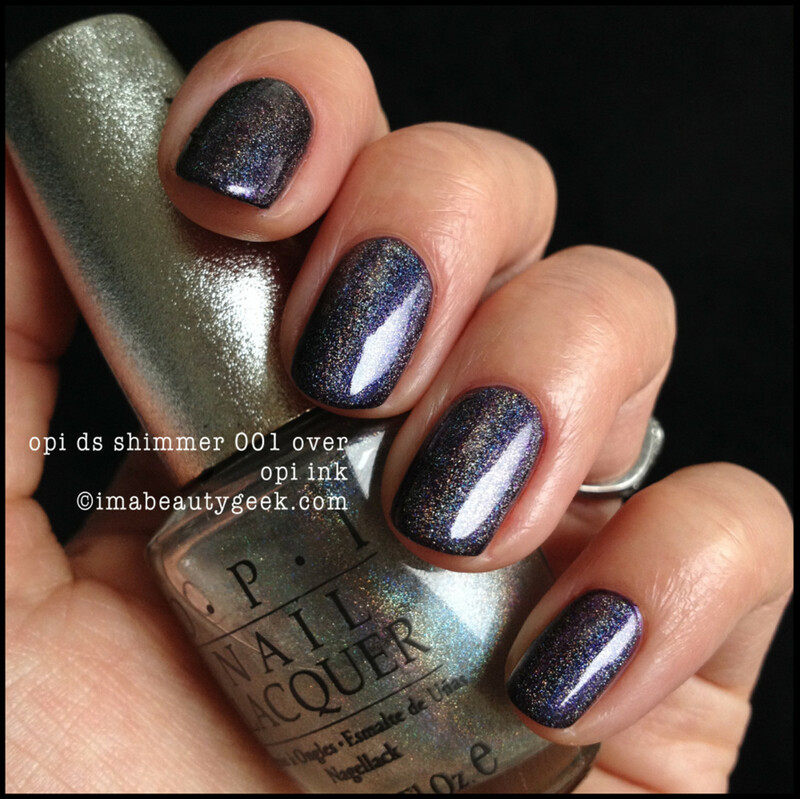 Above: OPI DS Titanium 047 The other OPI Designer Series offering for fall 2014 arrives in a sheer, buildable polish too. That’s three good coats to opaque coverage and you can see that while it&apos;s sparkly as all-get-out, it&apos;s not crazy shiny like you&apos;d expect. Again, the matte-ish finish. I didn&apos;t top coat. Nope. Above: OPI DS Titanium 047 From another angle, it appears as a much lighter grey jelly-like polish instead of a more sparkle filled silvery grey. Above: OPI DS Titanium 047 over Revlon Black Magic And again, if you slap on a pair of coordinated underpants, you can get a much deeper overall result that I think I also prefer to wearing Titanium alone. And that’s the two OPI Designer Series shades for fall 2014. Of course, you’ll need both. Right? DS Tourmaline and DS Titanium ($14.95CAD) will be available starting September 3, 2014 at your usual OPI retailer. 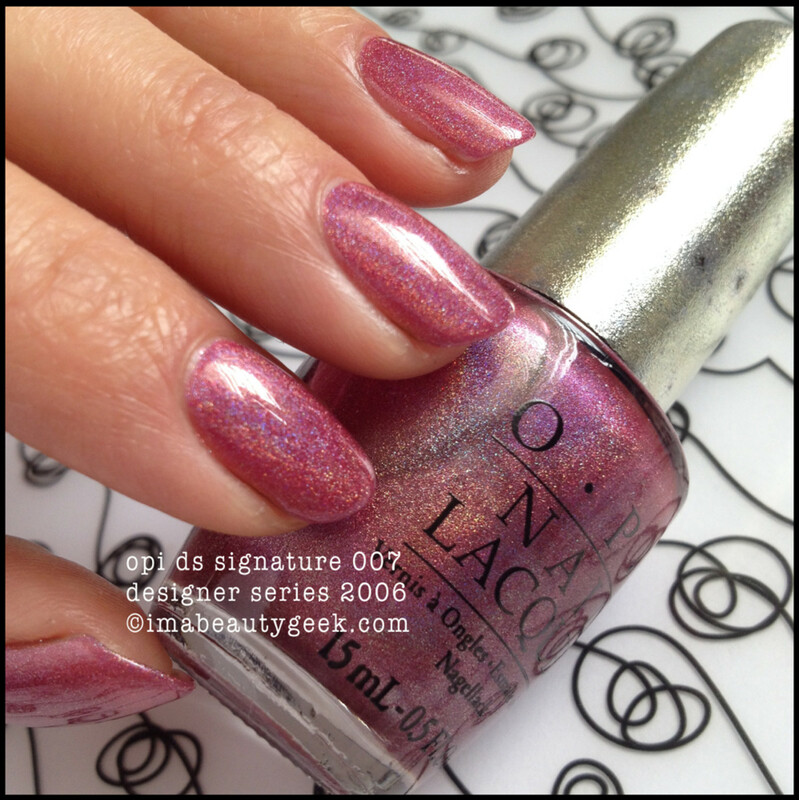 For all the other OPI info you can handle, visit opi.com. Now, to make you all kinds of blind (and also jealous) I have a couple of older OPI Designer Series polishes in my stash so what did I do? 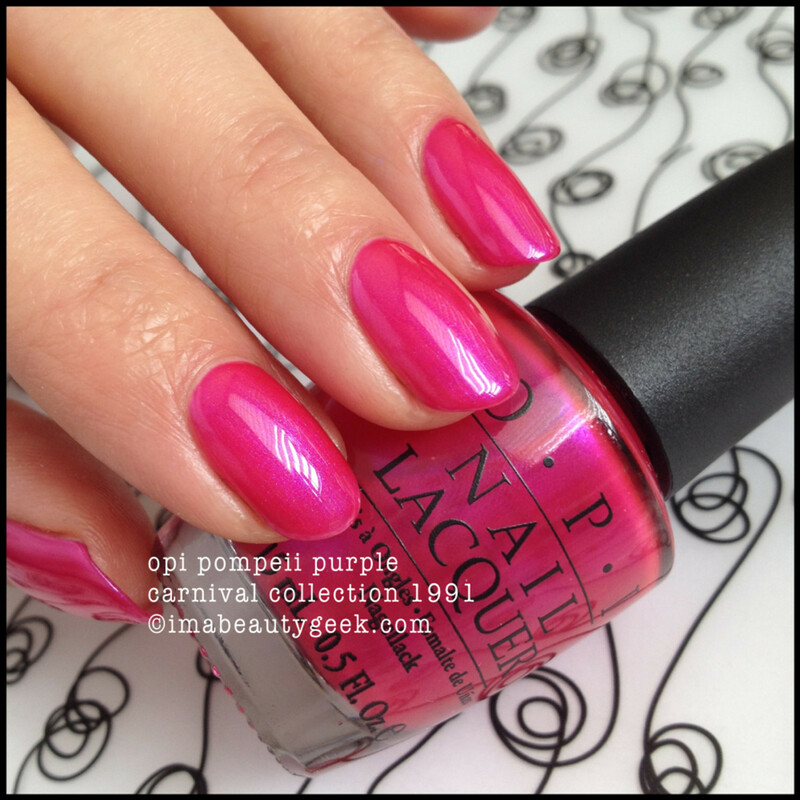 I shot ’em just so I could remind you how ground-breaking OPI polish really is. I don’t want to talk about any of it, I just want to show you. If you needa chat, we can do that in the comment section, yes? If there&apos;s a holo component, I tried to shoot &apos;em so you could see it but with interweb compression, some of it gets a little bit lost... if you look carefully - it&apos;s there - I promise. Oh - not the end. A quick comparison swatch for our lovely reader Tara! 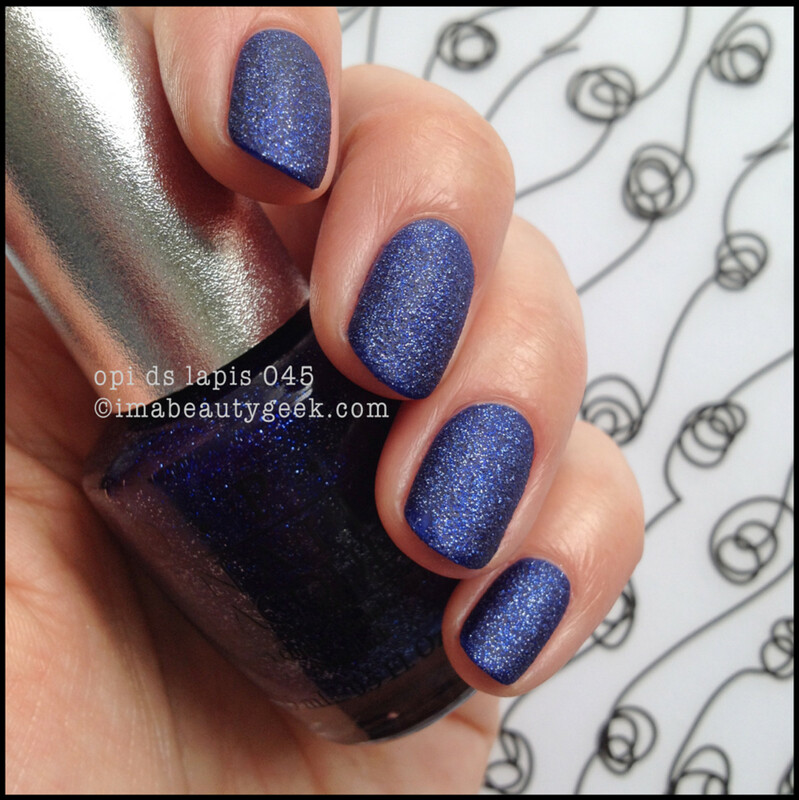 OPI My Voice is a Little Norse (Nordic 2014) vs Titanium. There ya go, lady! xo! Ps. 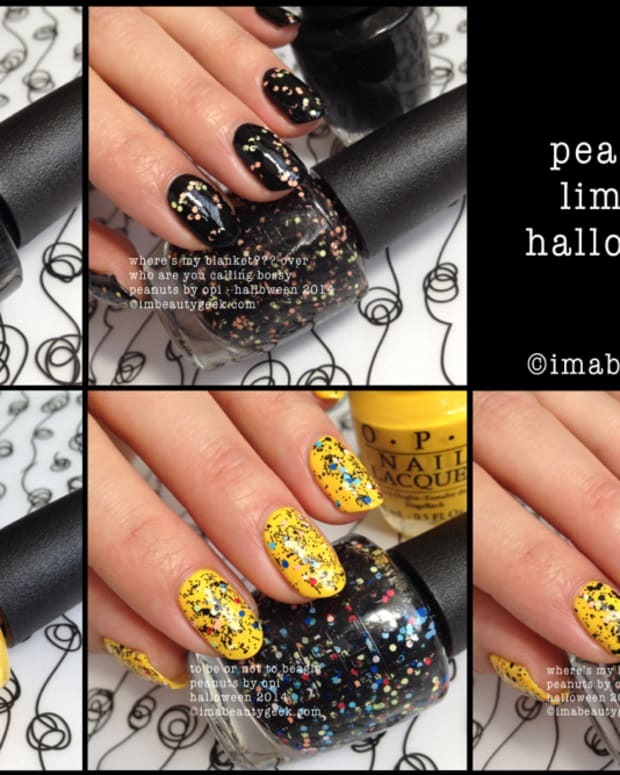 If you’re lookin’ for Peanuts by OPI for Halloween 2014, we got your swatches right here in this lazy link. Pps. Thanks for stopping by – you KNOW it made my day.